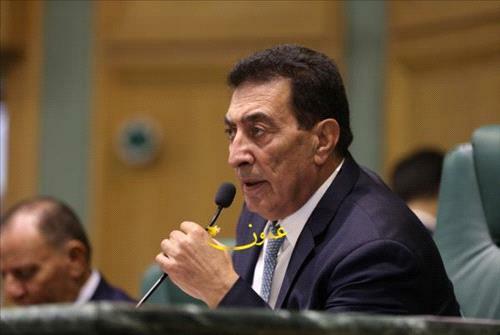 AMMONNEWS - Speaker of the House of Representatives Atef Al-Tarawneh described his recent visit to Iraq as successful, adding that it will further contribute to enhancing brotherly relations. He said in a press meeting on Wednesday that the visit of His Majesty King Abdullah II to Iraq last month and the visit of Iraqi President Barham Salih to the Kingdom marked the beginning of a new phase of cooperation between the two brotherly countries. Tarawneh visited Baghdad last week at the head of a parliamentary delegation at the invitation of his Iraqi counterpart, during which he met with President of Iraq Barham Saleh, Prime Minister Adel Abdul Mahdi, Speaker of the House of Representatives Mohammed Halbusi, and heads of Iraqi parliamentary blocs. Tarawneh praised the Iraqi parliamentary experience and the political process, which went a long way despite the exceptional circumstances experienced by Iraq. He expressed Jordan's keenness and readiness to make every effort to develop various fields of cooperation with Iraq, adding that relations with Iraq are based on a solid foundations and are expected to further develop and progress . Tarawneh commended Iraq's efforts in the fight against terrorism and extremism. Jordan's delegation accompanying the Tarawneh comprised 12 lawmakers including heads of blocs and parliamentary committees.